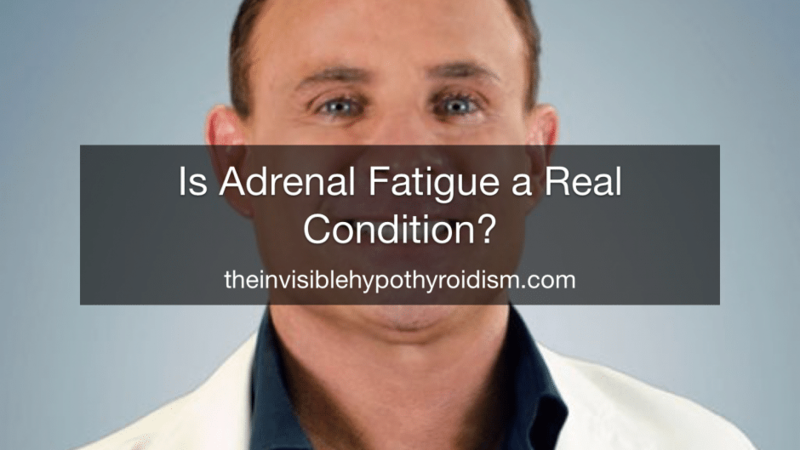 Home » Guest Posts » Is Adrenal Fatigue a Real Condition? I have spoken about adrenal fatigue countless times on my blog, and how, for so many thyroid patients, addressing their adrenal fatigue is a big part of their journey back to good health with hypothyroidism. After all, it is estimated that adrenal fatigue is present in 90% of us with autoimmune hypothyroidism. The adrenal glands, which sit atop the kidneys, are responsible for producing hormones in relation to stress and the one concerned in adrenal fatigue in cortisol. Adrenal fatigue (note: it is more accurately referred to as hypothalamic-pituitary axis dysfunction) is a condition whereby the adrenal glands produce too much or too little cortisol, though not to the extent of Cushing’s or Addison’s Disease, but abnormal enough that it causes symptoms and issues all the same. Adrenal fatigue is a condition not widely recognised by conventional medicine just yet, so time and time again I hear from people doubting its existence. Therefore, I reached out to Dr Kent Holtorf M.D., who is the medical director of the Holtorf Medical Group and the nation-wide Holtorf Medical Group Affiliate Centers, to ask if he would write a guest post debunking some of the myths and misinformation. He is also the founder and director of the National Academy of Hypothyroidism. Written by Kent Holtorf M.D. The Reality of Adrenal Fatigue is a hotly debated topic in the medical community. Many medical professionals strongly reject the existence of adrenal insufficiency except for the most extreme cases. The argument against adrenal fatigue is that there is little scientific data to support it. However, clinical findings and thorough review of medical literature suggests that adrenal fatigue is indeed deserving of recognition as a valid condition. Furthermore, it is likely that most individuals are suffering from some degree of adrenal deficiency. Rejecting the existence of such a prolific and impactful condition may hinder the wellness of patients and impede treatment of other related conditions. The adrenals are small but powerful glands that are responsible for the body’s stress response. As stress builds over time, the adrenals continually produce cortisol to help keep the body in an active, focused, and energised state. When major stressors occur while the body is already in a state of elevated stress, the adrenals can crash due to the tremendous demand. This leaves the adrenals exhausted and unable to maintain appropriate hormone levels. In this fatigued state, the body suffers long periods of mental and physical sluggishness broken up by moments of extreme stress. Adrenal fatigue can be triggered by many factors relating to sudden increases in stress. Events such as the death of a loved one, dissatisfaction at work, or physical stressors including lack of sleep, physical trauma, and chronic disease can contribute to adrenal fatigue. Typically, these triggers are not the true cause of adrenal fatigue but rather the catalyst of the condition. Typically, individuals with adrenal fatigue have maintained an elevated level of stress for an extended period that depletes cortisol levels. But it is only after a major stress events occurs that they experience greater symptom severity. Common symptoms of adrenal insufficiency include fatigue, sleep issues, emotional dysfunction, gastrointestinal disruptions, and physical pains. Currently, adrenal dysfunction is only recognised when it has reached an extreme degree. Cushing’s Syndrome (highly accelerated adrenal activity resulting in elevated cortisol levels) and Addison’s Disease (typified by extreme adrenal deficiency and reduced cortisol levels) are typically the only cases of adrenal malfunction diagnosed. However, there is no evidence showing that these are the only forms of diagnosable adrenal dysfunction. Almost all disease occurs on a spectrum and it is foolish to think that adrenal conditions are exempt. It is far more likely that low level adrenal dysfunction in the form of adrenal fatigue occurs frequently but is simply overlooked or rejected by many medical practitioners. It is probable that many, if not most, people are suffering from some degree of adrenal fatigue. Some studies estimate that adrenal fatigue affects up to 80% of the population. This is concerning as adrenal dysfunction contributes to various forms of disruption that may promote the development of other serious conditions. Experts posit that those with chronic conditions such as fibromyalgia and chronic fatigue syndrome are almost assured to have some degree of adrenal deficiency because of the adrenals impact on important regulatory systems. The adrenals are an essential component of the Hypothalamic-Pituitary-Adrenal (HPA) axis, which impacts nearly all bodily functions through the use of hormones. When any of the systems of the HPA malfunction, they impede the efficacy of the others. For example, in the presence of adrenal fatigue the adrenal glands begin slowing down and do not produce enough cortisol. This causes a decrease in the functionality of the hypothalamus and pituitary. Such a deceleration can lead to a variety of disruptions impacting multiple systems such as the heart, brain, metabolism, immune system, and perhaps most importantly the thyroid. Both the thyroid and adrenal gland have significant influence over each other. Because of this, an existing adrenal disorder, such as adrenal fatigue, should be considered if a patient is suffering from thyroid disease. The thyroid regulates numerous aspects of wellness including energy level, weight, heart rate, stress response, cognitive function, and much more. It accomplishes this through the production and regulation of hormones in the form of T4 and T3. Studies have found that even mild cases of adrenal fatigue can inhibit critical thyroid processes such as conversion of T4 into T3, hormone utilization and production, and signal receptivity. To function properly, the thyroid relies on a regular supply of cortisol from the adrenals. In the case of adrenal deficiency, cortisol levels are erratic. This results in temporary thyroidal hastening followed by prolonged periods of thyroid depletion and hypothyroid states. These fluctuations can significantly impede thyroid activity and by extension overall bodily function. Excessive amounts of cortisol, often seen among those with adrenal fatigue, promote thyroidal inflammation and inhibits thyroid hormone receptivity. This makes it difficult for T3 to enter cell walls. If too much T3 is barred from entry, levels in the bloodstream may become toxic and cause harm to the liver. Increased cortisol levels also inhibit the conversion of T4 into T3. Poor conversion of these hormones is the leading cause of hypothyroidism. Without resolving underlying issues of adrenal dysfunction and cortisol imbalance it is unlikely that thyroid function can be restored. There is no argument over the importance of the adrenal glands and their influence over essential systems such as the thyroid. However, the medical community at large rejects the possibility that mild or moderate cases of adrenal dysfunction exist. This is a dangerous belief as research suggests that most people, especially those suffering from chronic disease, are experiencing some degree of adrenal insufficiency or fatigue. By discounting or rejecting research and further exploration of adrenal fatigue the medical community is impeding progress that could lead to better treatment of the adrenals and other associated systems such as the thyroid. Properly investigating adrenal fatigue and recognising it as a valid condition is an important step towards optimising various aspects of health and achieving a greater level of wellness. Kent Holtorf, M.D. is the medical director of the Holtorf Medical Group and the nation-wide Holtorf Medical Group Affiliate Centers. He is also founder and director of the non-profit National Academy of Hypothyroidism (NAH), which is dedicated to dissemination of new information to doctors and patients on the diagnosis and treatment of hypothyroidism. 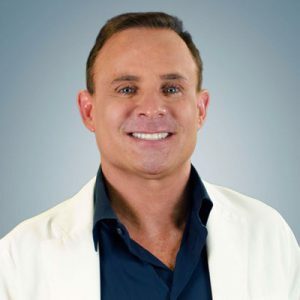 He has personally trained numerous physicians across the country in the use of bioidentical hormones, hypothyroidism, complex endocrine dysfunction and innovative treatments.